A little bit about Vegan Fighter / Znáte nás? 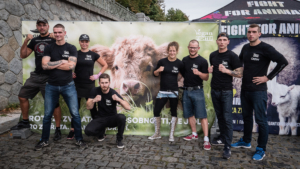 Vegan Fighter was founded in 2010 by fighters who went vegans or vegetarians to promote respect to animals. In 2010, it was nearly impossible to get vegan sport nutrition in Czech. 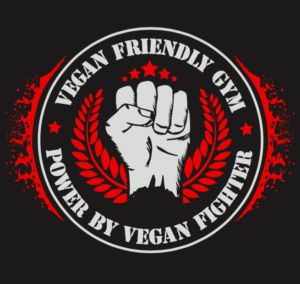 So we started to run online Vegan Fighter Shop. In 2013 we first organized Veggie Naplavka (in English: the very beautiful riverbank in the centre of Prague where local people love to spend time). We were suprised, that this event attracted 5000 people during one day. We supported not only veganism by gastronomy, but also NGOs, stray dogs in Ukraine and others. …and we were very happy to become not only the biggest events in Czech but also one of the European. Our 2 days event attracted more than 12000 visitors – that we could inspire for veganism. We awarded the first winner at our event Veggie Christmas, and from this yeas, each year the best vegan Czech restaurant is nominated and awarded by our followers. And during years, we won of course also a lot of titles in combat sports ;) In 2018 for example Vegan Fighter Crew Magda Sormova won World WMMA Champion . We are group of pro and amateur sports/wo/men who are vegans for ethical reasons, some of us more than 20 years. We wish to inspire everyone to healthy and ethical lifestyle that we love. We organize huge vegan events where we inspire for veganism, not only for life, but also for sports. We organize all of our events under brand Vegan Future. By Vegan Fighter.